My name is Barbara and I am a qualified children and young people's counsellor based in Bedfordshire, also taking clients from Milton Keynes, Hertfordshire and Buckinghamshire. 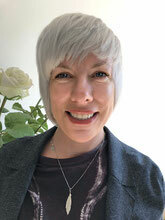 I have over 15 years experience of counselling children, young people and supporting families. I have worked in a variety of different settings including schools, colleges and for the NSPCC all delivering therapeutic work. I am also a qualified practitioner in delivering Video Interactive Guidance (VIG) which is an approach used to strengthen and improve relationships between children and their primary carers. I'm experienced in working with looked after children and completing post-adoption work. I am experienced in working with children and young people aged from 4 years to 30 years old. I am a member of both the BACP and HCPC governing organisations, and registered with private health organisations. Certifications and qualifications can be seen on request. If you feel counselling may benefit you or your child, please contact me to arrange a confidential appointment. If I cannot answer your call, please leave me a message and I will respond within 24 hours.